We are very pleased to announce our very first commissions and concert series! 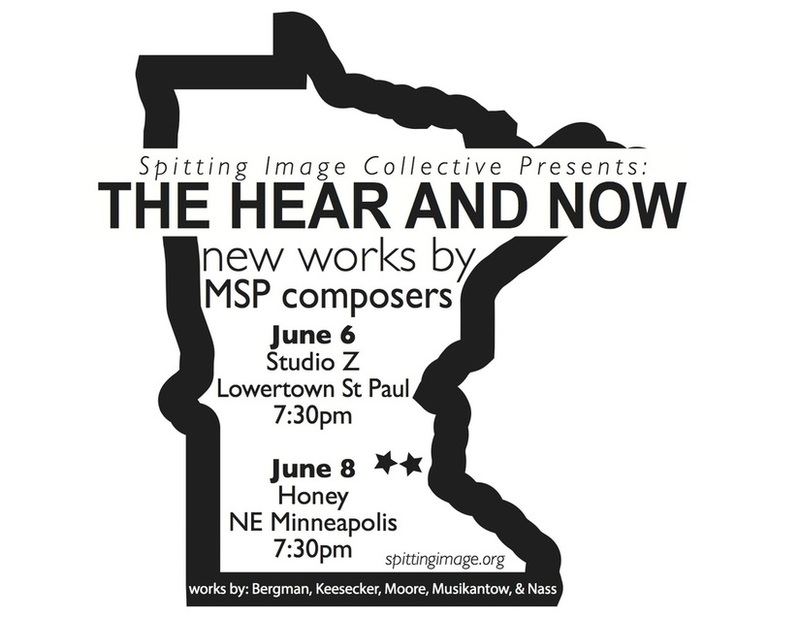 Spitting Image has commissioned five new works from Twin Cities composers to be premiered by top local performers at The Hear and Now concerts on June 6 and 8 in St. Paul and Minneapolis. Performers include Carrie Henneman Shaw, soprano; Sarah Porwoll-Lee, clarinet; Lars Krogstad, cello; and James DeVoll, flute.